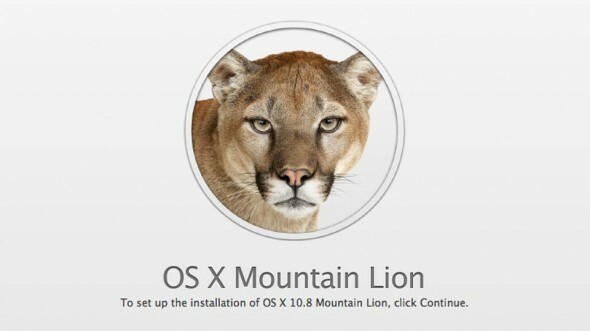 If you were expecting to upgrade to Apple OS X Mountain Lion on your lunch break then you may want to think twice. According to an Apple reseller out of New York, Mountain Lion upgrades can take as little as 13 minutes or as long as nearly an hour. Tekserve, which claims to be “New York’s largest independent Apple store”, timed the upgrade that it installed on multiple Mac desktops and laptops, averaging the times for each model and posting the results in a recent blog post. 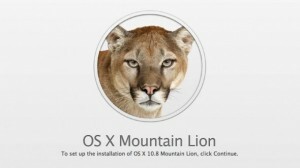 Mountain Lion costs $19.99 and can be installed on most recent Mac devices running OS X Lion or Snow Leopard. The MacBook Pro with Retina display clocked in at 13 minutes for the upgrade with the 11″ and 13″ MacBook Airs needing 17 minutes. As Tekserve stated, those models rely on SSDs of different sizes in order to store data, applications and the operating system. Laptops with traditional platter-based drives, like the new 13″ and 15″ MacBook Pros and the two iMac models, require much more time to complete the upgrade. Times for these devices range from 40 minutes for the 21.5″ iMac to 57 minutes for the non-Retina 15″ MacBook Pro. Reports have varied from different sources on the exact time of the upgrade. The upgrade itself is a hands-off affair once the user has downloaded the 4GB installer from the Mac App Store. This allows Mac owners to step away from the machine and come back when the new OS is installed.